There a lot of activities to deal with simple present. Students have to read a text and answer questions about it. 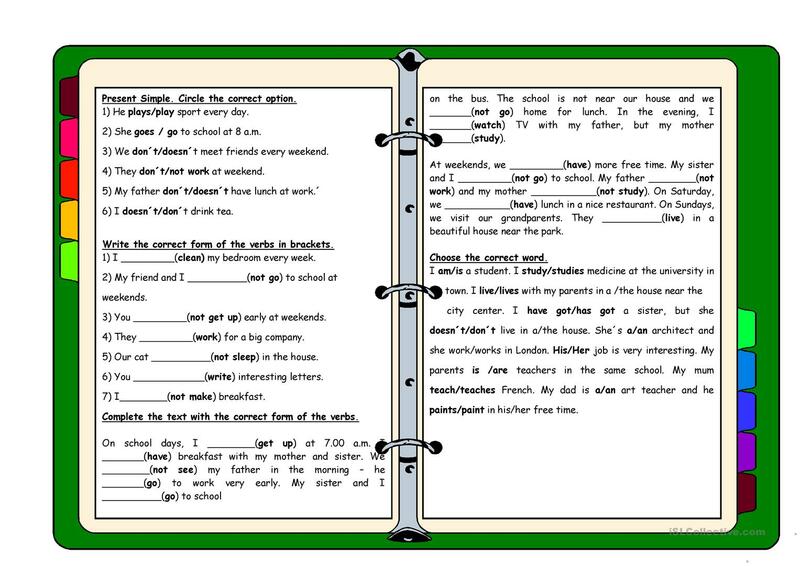 Complete sentences with the correct form of the verbs. complete with don't - doesn't. 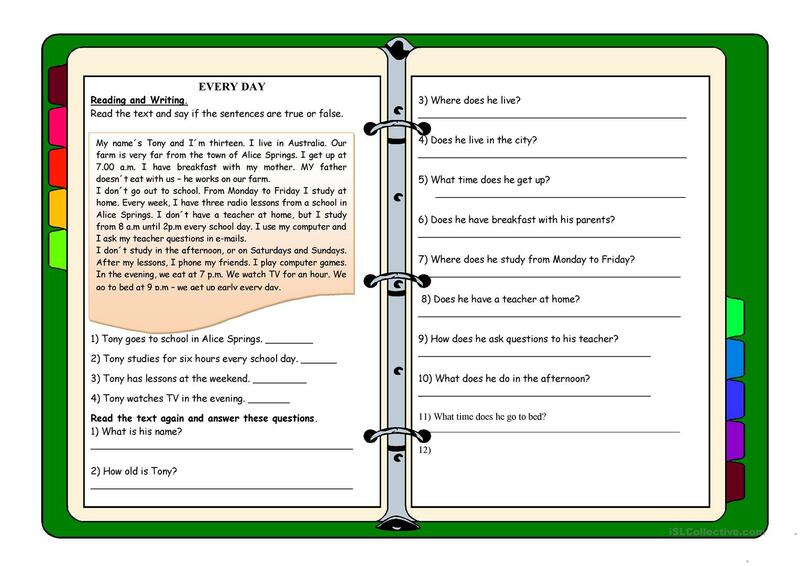 This downloadable printable is meant for high school students and elementary school students at Elementary (A1) level. 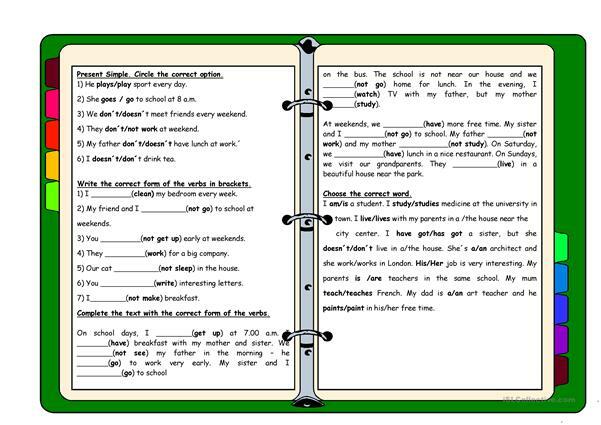 It is great for practising Present simple tense in English, and is a valuable material for developing your pupils' Reading and Writing skills. It is focused on the topic and words of Daily routines. patochulo is from/lives in Argentina and has been a member of iSLCollective since 2012-04-07 20:30:06. patochulo last logged in on 2019-03-18 15:56:04, and has shared 3 resources on iSLCollective so far.